View a photo gallery from the trip by clicking the image above. In the school year of 2016-2017, Father Stockdale approached me about a new type of trip Prep was planning for the upcoming year. 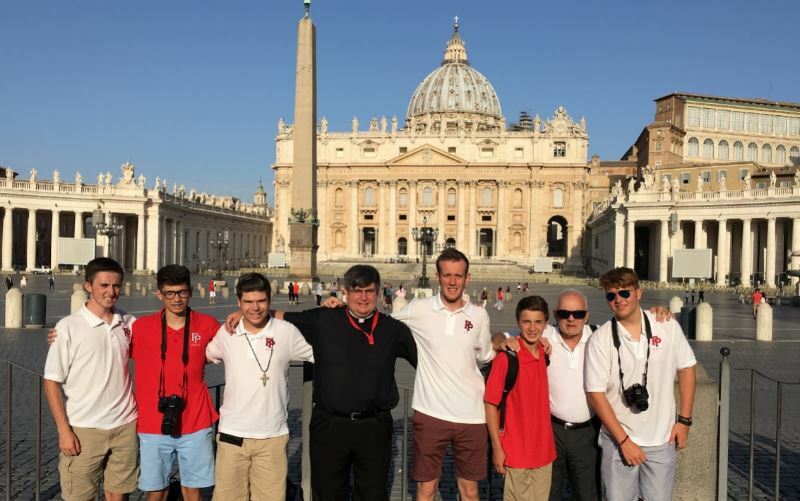 In the middle of the summer 2017, we would fly to Europe to take part in the Ignatian Experience Pilgrimage. On this trip, we would be visiting all of the locations that Saint Ignatius of Loyola visited himself during his spiritual journey, as well as other holy sites such as Lourdes in France, The Church of the Gesù in Rome, and Vatican City. The premise of getting to see these places I had only heard of was exciting, so I quickly signed up and started preparing for the Spiritual Experience I knew I was about to take part in. Come July 2017, I was heavily anticipating the trip. On the morning we were to depart, we all met at Prep and gathered together to go to the airport. Since we had spent time in our weekly meetings getting to know each other and prepare for the experience, I was already close with the Prep group and was excited to see them again. Despite traffic, delays, and lots of waiting in airport gates, we finally arrived at our first destination in the journey: Spain. Our first main stop took us to the city of San Sabastian, where we explored the city, tried Basque cuisine, and nestled into our first of many hotels. The next day, however, we got to visit the town of Loyola, where Saint Ignatius himself grew up. Not only did we see his house, but we got to go inside and experience his early childhood and even celebrate Mass in the sacred spot where he was called to service. This was the first of many spiritual experiences I would have over the course of this trip, enhancing not only my faith but my sense of Jesuit service and justice. After spending time in the Basque country of Spain, we got on a bus and left for our next stop in Lourdes, France. Over the course of the trip, I had many spiritual and life defining moments. But France provided the most meaningful experience to me. As a student of French, it was an amazing opportunity to be able to put my studies to use and speak to the people of France; but that doesn’t even compare to the experiences I had in the city of Lourdes. Driving into the city, there didn’t seem to be anything that stood out, however that changed when we arrived to the “centreville” of the holy place. It was immediately clear that this was a place rooted in the Christian faith. No matter where you looked, you were guaranteed to see multiple faith-themed shops, restaurants, or hotels. However, that was just the surface of the spiritual presence of Lourdes. Each night that we were staying in France, we got to experience the nightly Rosary procession. Most, if not all, of the visitors to the town got to gather together to pray to our mother Mary. It was an eye-opening experience getting to see the power of our faith through the sick, needy, and those who were there to help out. The feeling I felt seeing so many people congregating in one place from all corners of the world in one common interest and passion can honestly not be described in words. The nightly processions we took part in Lourdes have stuck with me even to this day, and were definitely one of the highlights of the pilgrimage. After spending a few days exploring the city of Lourdes, we left for Barcelona. While the ride to Barcelona was certainly long and exhausting, the city of Barcelona was worth the wait. Not only was it my first time seeing the Mediterranean, but it was my first time being a sprawling European city along the ranks of New York, Paris, or Rome. In Barcelona, we were given plenty of free time to go explore the city, and it was absolutely fantastic. The highlight of Barcelona, however, was getting to see the giant Sagrada Familia basilica in the center of the city. It was visible almost everywhere in the city, and was even more impressive up close. Barcelona, while a breath of fresh air compared to the reverence of France, was still in many ways a holy experience I’ll never forget. Our final destination during the 2-week long trip was Italy, and to me, it was certainly the highlight of the trip. We started in Naples, took a stop in Sorrento, and finally ended in Rome. One of the best parts of Italy, to me, was the amazing food. Every single day we were in Italy, I was fortunate enough to be able to enjoy an unforgettable meal. The food and the restaurants here in Connecticut truly don’t compare to those found in Italy. Beyond my meals, though, Italy gave me an uncountable amount of memories and experiences. Highlights include a day long boat ride to Capri, the Vatican Museum, celebrating mass at The Gesù, and getting to see Pope Francis. Over the course of 2 weeks, I feel like I truly grew as a person. It’s hard to imagine that just visiting a place would be able to do that to me, but it truly did. Through the holy sites, combined with the relationships I formed with my fellow Prep brothers, I feel like I have grown to be more faithful, religious, and committed to justice; and I couldn’t be happier and more grateful that I was fortunate enough to be able to go on the Ignatian Experience Pilgrimage. 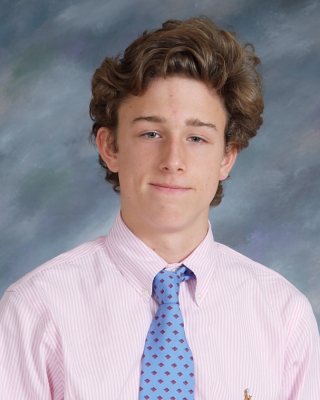 Hello, for those who do not know me, my name is Finn O’Connor and I am currently a junior at Fairfield Prep. 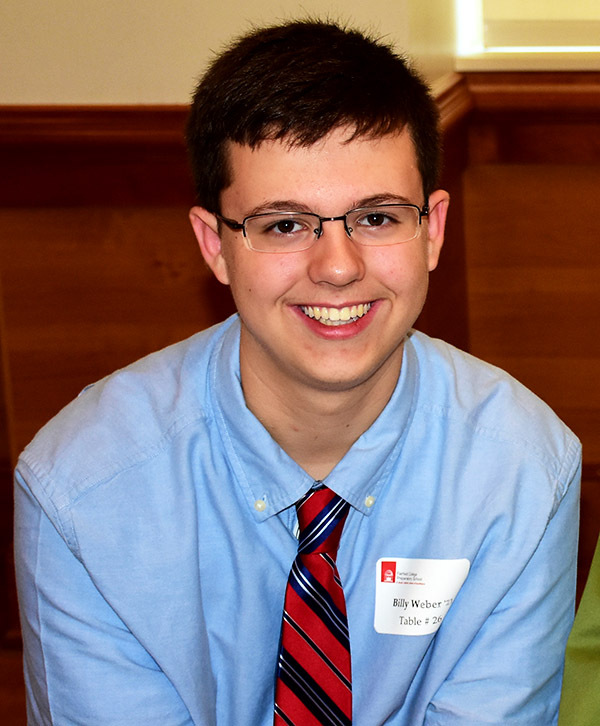 This blog is intended to be a window into my life as a student at Fairfield Prep, and to take all of you on a journey with me throughout the upcoming school year. I hope that reading this will prove to be helpful in your own academic life, and to give you tips on how to have a successful year. As an all too fast summer has come to a close, I have found myself back in the halls of Fairfield Prep, excited for another great year of challenges and opportunities. Of course, the return to school also means summer work, which was quite enriching to say the least. Luckily, I got it all done before classes really got underway, as teachers were quick to test and check us all on the work that was due upon our arrival. One of the best techniques I have discovered over the past summers is to begin homework prior to the week of return, but I’m sure all of you have been told that for years. Besides the work aspect of the return to school, the transition back into classes was smooth and enjoyable as I was able to catch up with friends whose paths I had not crossed over the summer, and most of all to get back onto the train. 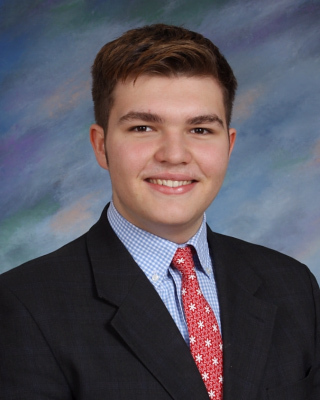 Honestly, the train has proven to be one of the most influential parts of my time at Prep, wherein I made the majority of my closest friends, and spent the majority of my time. My first train ride up to Fairfield was almost nostalgic, reconnecting with what was once such a major aspect of my life. 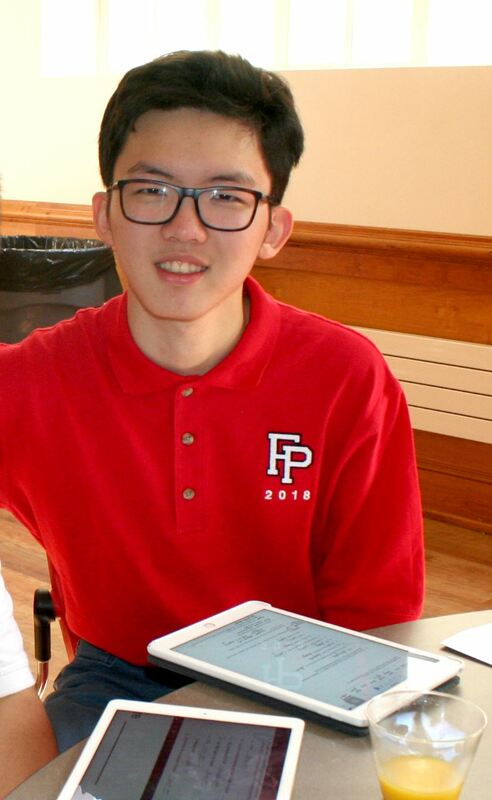 Overall, the return to Fairfield Prep this year was as great as I could have imagined it, and I am looking forward to settling in and getting into the “meat and potatoes” of this school year, and to share these experiences with all of you reading.